JOIN OUR CLUB AND SHARE THE MAGIC! YES! I want to share the magic! A SPECIAL EVENT FOR CELLAR CLUB MEMBERS! Join Alquimista Cellars at Hawk’s Roost Ranch for our Pizza and Pinot Spring Release Party. We’ll have plenty of pizza and wine while playing bocce or corn hole by the vineyard! Chuck Jones has exquisitely tended this beautiful ranch in the middle of the Russian River Valley for years. 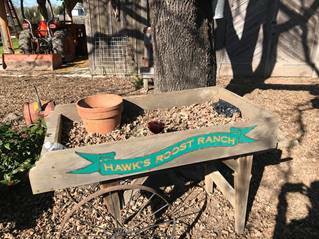 Call or email Lisa for reservations, to place your club shipment order and to let her know if you will be picking up your shipment at Hawk’s Roost Ranch that day. Directions provided at time of RSVP. It's time for our 2019 Cellar Circle Spring Shipment of some of our new releases! Customization is open until April 26th for your 6 or 12 bottle choices. If you need any additional wines for the Spring, let me know, as some sell out very quickly due to our small production. So look at our CURRENT RELEASES page to see your choices if you'd like to mix and match. If we don't hear from you, we will automatically ship the new releases listed below on April 29th. One bottle of each if you’re a case club member (10% discount), two bottles each if you are a two case club member (15% discount). If you are REDS ONLY, we will ship 2 bottles each of the Pinots for case club, and 4 bottles of each of the Pinot’s for the two case club. But again, feel free to mix and match over the next few weeks! Select rows from this single vineyard fronting the headwaters of the Russian River in the shadow of the Mayacamas range yield yeasty, cookie dough and piecrust aromas on top of lemon blossom scents. Tropical fruit with zesty citrus overtones highlight the palate with hints of vanilla dancing on balanced acidity suggest a Chablis-like character. Wild aromas of jasmine and honeysuckle mingle with the fragrance of a field of wildflowers after a rain. Caramelized nectarines and white peaches vie for prominence on the lacy palate and are soothed by a soft vanilla kiss. Acidity is crisply self-assured and in balance with high, sea cliff expressions. A bouquet of violets, strawberry laced with tomato leaf, herbs and peat are carried by sea smoke from this climatically challenged elevated sea cliff vineyard. Striving to survive, these vines overachieve with rewards of Rainier cherries atop spiced cookie dough, dried fruit and bitter orange in a prolonged march aided by balanced tannins and acidity along the palate. The combination evokes duende, the Spanish term for inspiring spontaneous emotional reactions. Chuck Jones, selling us fruit for several years for other labels, has exquisitely tended this ranch in the middle of the Russian River Valley. This vineyard has reliably produced a “larger than life” Pinot, and we used it for blending to give any Pinot its weight and strength. While the results have always been exciting, we have finally decided to bottle this vineyard’s wine separately, under its own designation, sending a hugely deserving shout-out to Chuck and his property. Ethereal spicy aromas derive from this mélange of zinfandel, Carignan, Flame Tokay, Black Prince and Mission grapes, cohabiting for nearly 130 years in this iconic vineyard in Delta country. Pinot-like smoothness achieved from partial whole-cluster fermentation defines the flavors of layered plum, fruit compote and spicy pumpkin with just enough spice to remind that this is predominantly Zinfandel.